Four words in a tiny font at the top of a page in Mueller's recent court filing reveal that Manafort kept at it with Kilimnik even *after* Manafort was charged with multiple felonies. In a tiny font at the top of the 82nd page of a lengthy document filed in court this week by special counsel Robert S. Mueller III is a key clue to his ongoing interest in Paul Manafort, President Trump’s former campaign chairman. The four words of unredacted text suggest that in February 2018 — four months after Manafort was first charged with crimes related to his work as a political consultant in Ukraine — he still appears to have been working on a peace initiative for Ukraine, a topic of intense interest to Russia. And it suggests he was doing so in concert with Konstantin Kilimnik, a Russian employee of his consulting firm who is alleged to have ties to Russian intelligence. 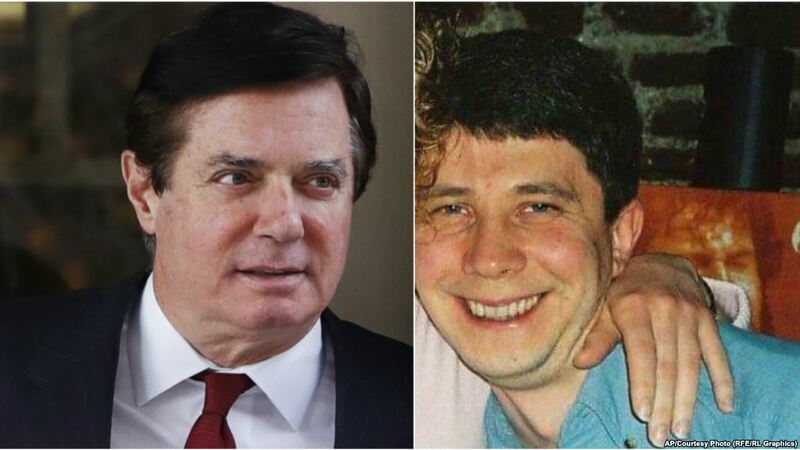 The revelation, potentially inadvertent, comes as Manafort and Mueller’s legal team have been battling in court over whether Manafort lied to prosecutors after he pleaded guilty in September to conspiring against the United States with his Ukraine work and agreed to cooperate with the probe. On Tuesday, Robert Mueller’s team filed a 32-page declaration supporting their claim that Manafort lied to the court. This declaration included many additional pages of exhibits. Nearly half of the filing is devoted to Manafort’s interactions with Kilimnik, who is reported to have been actively linked to Russia's military intelligence agency as recently as 2016. Kilimnik denies this. Remember, 'peace initiative for Ukraine' is a euphemism for a dirty campaign carried out in the interests Russian oligarchy.